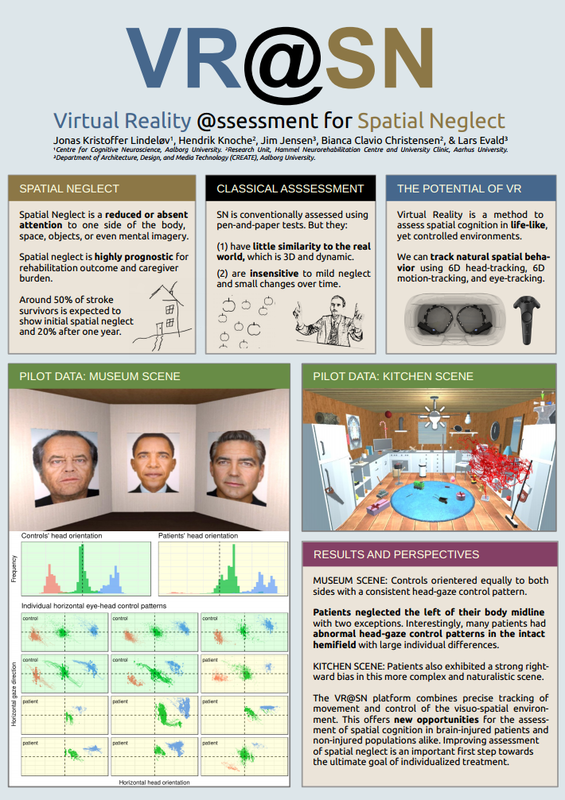 Here is our poster for a project in which we use Virtual Reality, head-tracking and eye-tracking to assess hemispatial neglect. On paper and from our piloting, I think that this approach makes a whole lot of sense. There are great perspectives, including tele-rehabilitation. How well it works in the long run is an empirical question! We currently use the HTC Vive with the Pupil-labs eye-tracker. I should mention that the author list here is an initial start-up group and that more collaborators take part moving forward from here. Here is the PDF of the poster.